For the youngest ones! 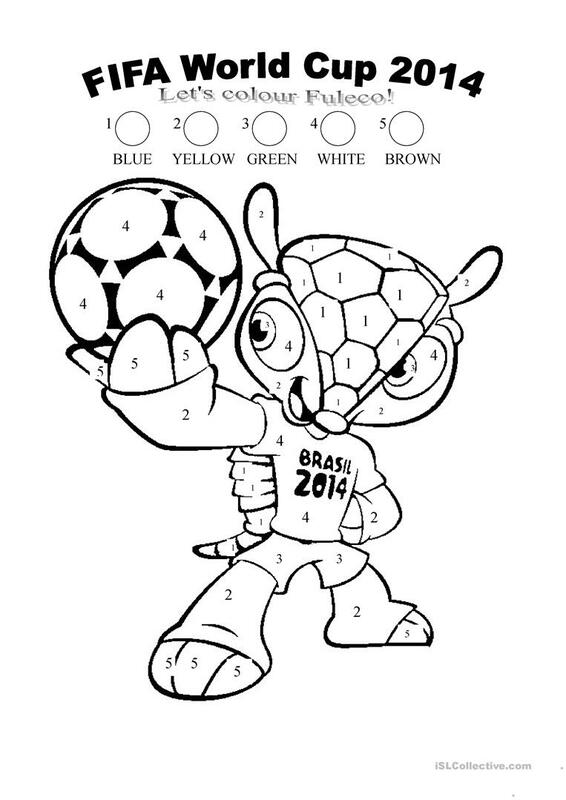 Let's get ready for World Cup 2014 by colouring Fuleco. The name "Fuleco" is the result of the combination of the words football and ecology. Enjoy! The present downloadable teaching material is meant for elementary school students, kindergartners and nursery school students and students with special educational needs, learning difficulties, e.g. dyslexia at Beginner (pre-A1) and Elementary (A1) level. It was designed for improving your students' Listening and Reading skills. It is about the theme of Colours. It includes the answers, too. MissAndreaP is from/lives in Argentina and has been a member of iSLCollective since 2013-03-22 15:39:02. MissAndreaP last logged in on 2014-08-05 03:01:46, and has shared 6 resources on iSLCollective so far.